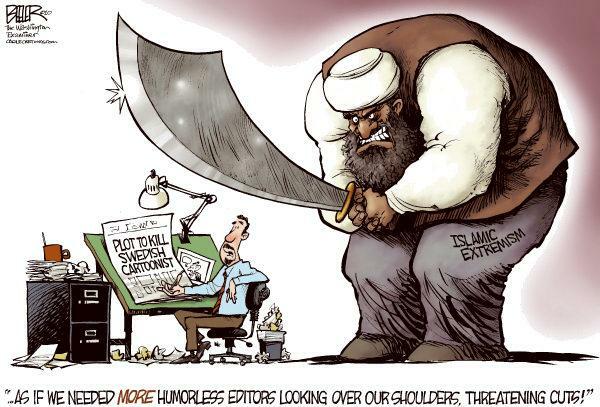 Nate Beeler, the cartoonist of The Columbus Dispatch, tweeted his cartoon from 2010. 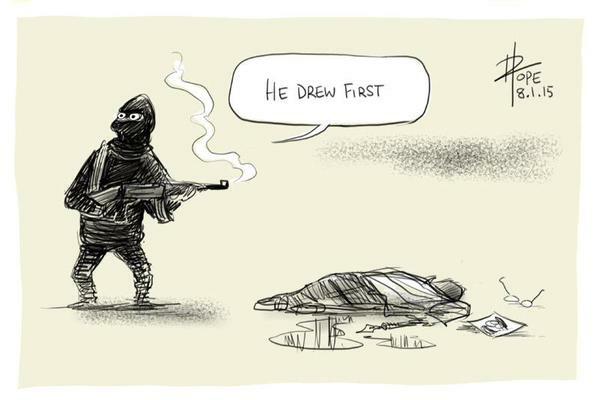 David Pope, the political cartoonist at The Canberra Times, tweeted that he couldn't sleep thinking of what happened to his French cartooning colleagues. 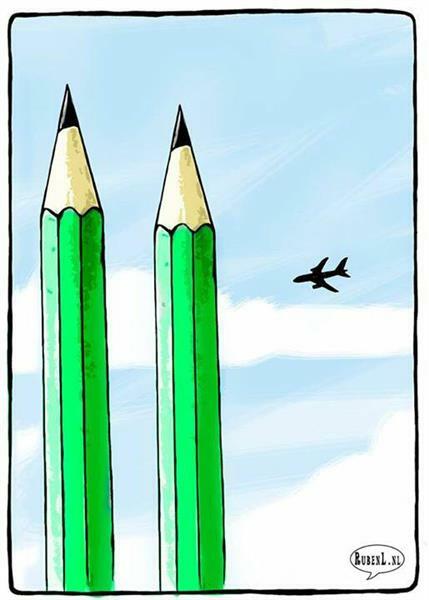 The incident invoked reactions like this one from Ruben Oppenheimer, equating it to the World Trade Center terrorist attack. 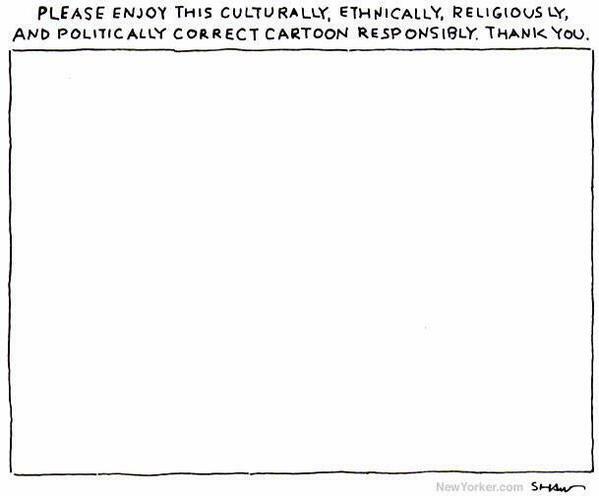 The New Yorker's cartoon editor Bob Mankoff reacted with this drawing. 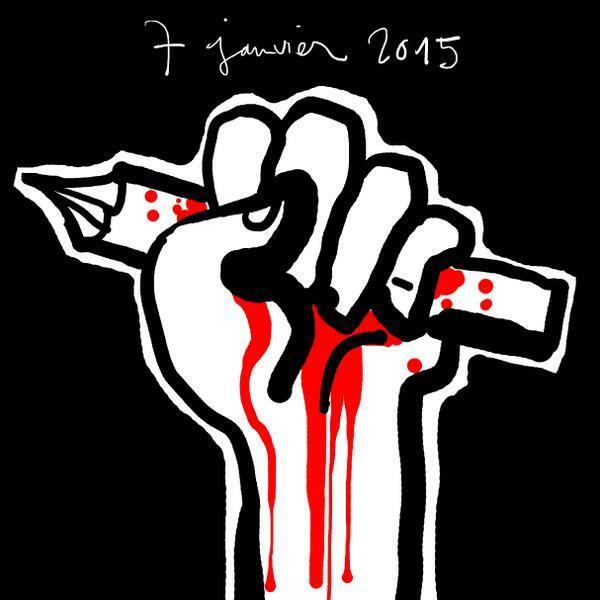 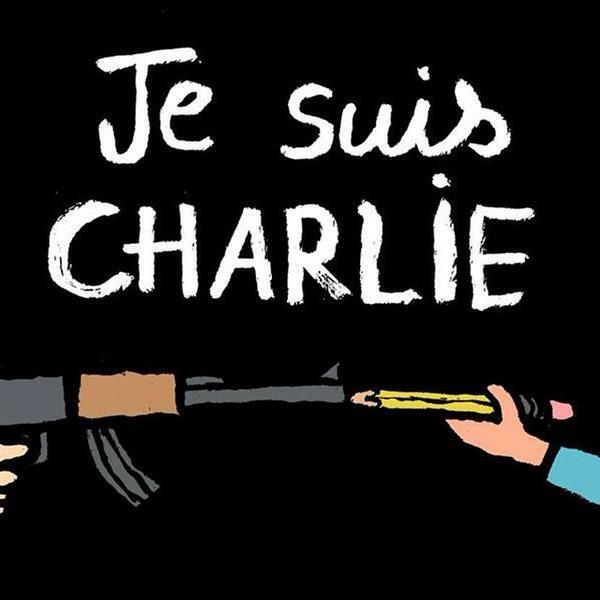 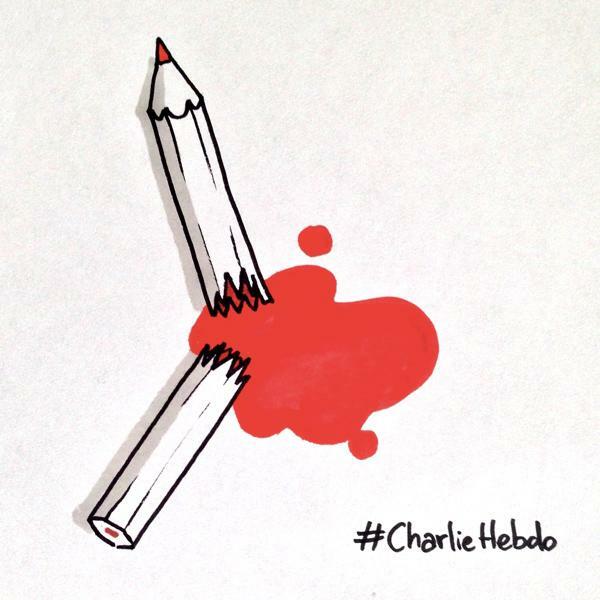 French Instagram users are posting this image with the phrase "Je suis Charlie" (translated roughly to "I am Charlie"). 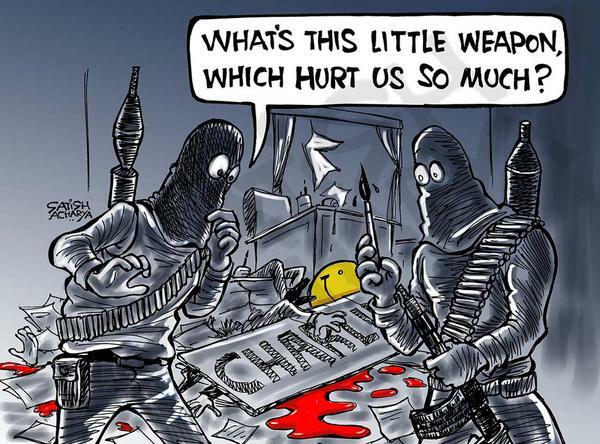 Satish Acharya, a cartoonist in India, drew this cartoon. 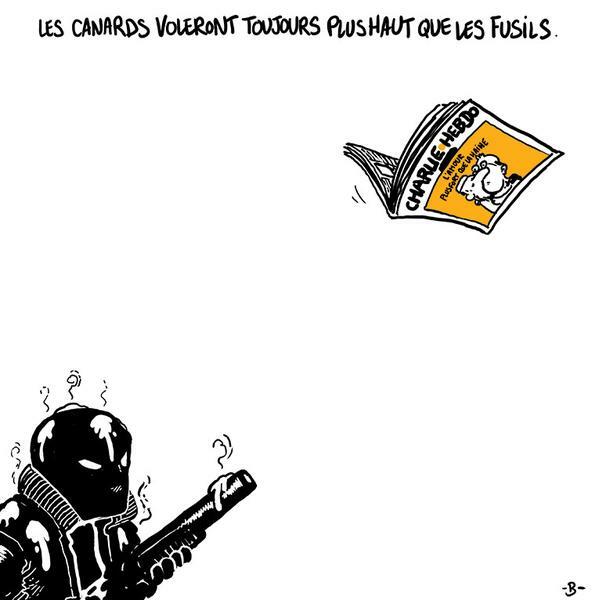 The tribute from Boulet, the pen name for Gilles Roussel, a French comic book creator. 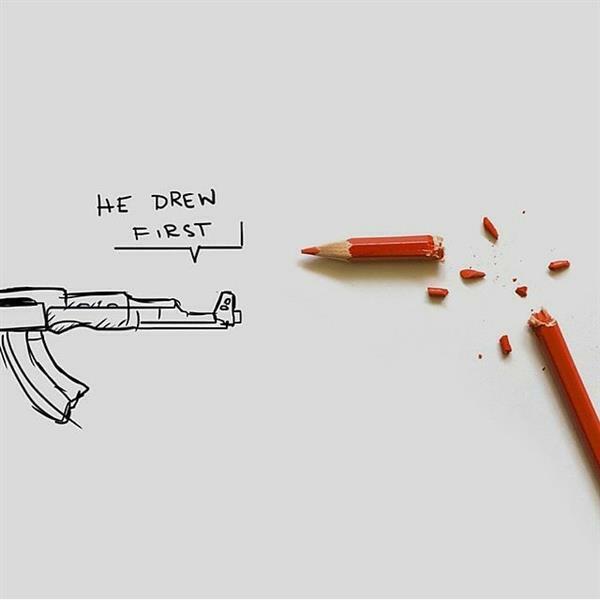 "He Drew First" by Rafael Mantesso, a Brazilian artist.